How Do Over-Achieving Alphas Best Balance Their Lives? A new play explores why Thomas Jefferson, Charles Dickens and Count Leo Tolstoy were each unhappy in their own way. The omni-curious Jefferson cut with a razor the Bible verses that he considered to be Christ’s true words and pasted them into a blank book to be perused at night “during intervals of sleep” while serving as our third President. He stripped the original accounts of their miracles and, instead, focused on Christ’s precepts and parables. He claimed, in letters to trusted friends, that the task of distinguishing the true from the corrupted words was “as easy as distinguishing diamonds in a dunghill.” Fearful that his radical, miracle-free Christianity would lose him votes in the election of 1800, Jefferson kept his “wee little book” in a nightstand by his alcove bed, a secret even from his family. Dickens wrote his version for his children and performed it for them so often that all of them could recite it before they had learned to read or write. Dickens died in 1870, specifying in his will that his “Life of Our Lord” could not be published until the last of his ten children died. Which explains why it was not available to the public until 1934. After achieving global fame and fortune with War and Peace and Anna Karenina, Tolstoy abandoned epic fiction. He sought to quell suicidal impulses through faith, first through his own reasoning, later through the simple faith of the peasants that labored in his fields. He rejected the Russian Orthodox church, from which he was later excommunicated, to write his own gospel. But by the time his “Brief Harmony” was finished, he could no longer publish freely in Russia. So, like many other of his manuscripts, his gospel was smuggled to Switzerland where it was translated, published and distributed to the world. So: Jefferson’s Bible guided him to preserve the Republic that he had helped author; Dickens gospel delighted (and perhaps instructed) his children; Tolstoy hoped that his gospel would both lead to a new faith “beyond reason” and save himself and, ultimately, the world. Tolstoy began Anna Karenina with the words: “Each happy family is alike. Every unhappy family is unhappy in its own unique way.” This eminent trio, each of whom tried to lead exemplary lives, thought that making a deeper, more personal gospel for themselves might point them and perhaps others toward happiness. As I hope my play delightfully demonstrates, each encountered personal unhappiness in his own unique way. 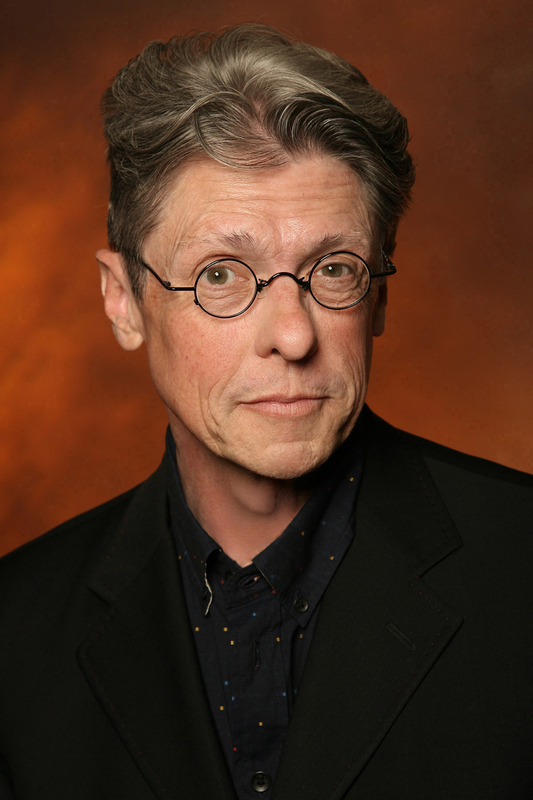 Scott Carter has served as Executive Producer / Writer for HBO’s “Real Time With Bill Maher” since its premiere in 2003. In 2007, he was awarded the Producers’ Guild Of America’s Johnny Carson Award. Carter also co-created, produced and wrote for “Lewis Black’s Root Of All Evil” (Comedy Central), “Exhale With Candice Bergen” (Oxygen Media), “Earth To America” (TBS), “Conversations From The Edge with Carrie Fisher” (Oxygen Media), “The Conspiracy Zone with Kevin Nealon” (SpikeTV), “Oxygen Forum: Al Gore” (Oxygen Media), “Night After Night With Allan Havey” (Comedy Central), “SportsMonster” (Comedy Central), “The Olympiacs” (Comedy Central) and “Mouth To Mouth” (MTV). Carter is a former stand-up comedian and improviser who, during the 1980’s, performed at such clubs as The Comic Strip, The Original Improvisation and Chicago City Limits. He has performed his two full-length monologues, “Heavy Breathing” and Suspension Bridge,” at The Edinburgh (Scotland) Fringe Festival, The U.S. Comedy Arts Festival, Garry Marshall’s Falcon Theatre, Michael Patrick King’s Arcade, The HBO Workspace, Primary Stages, Manhattan Punch-line, Dixon Place, The Cleveland Performance Festival, The Skirball Cultural Center and The Murphy’s Cat Laughs Festival (in Kilkenny, Ireland). Carter lives in Los Angeles with his wife and two daughters.